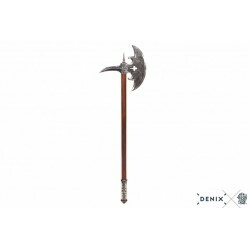 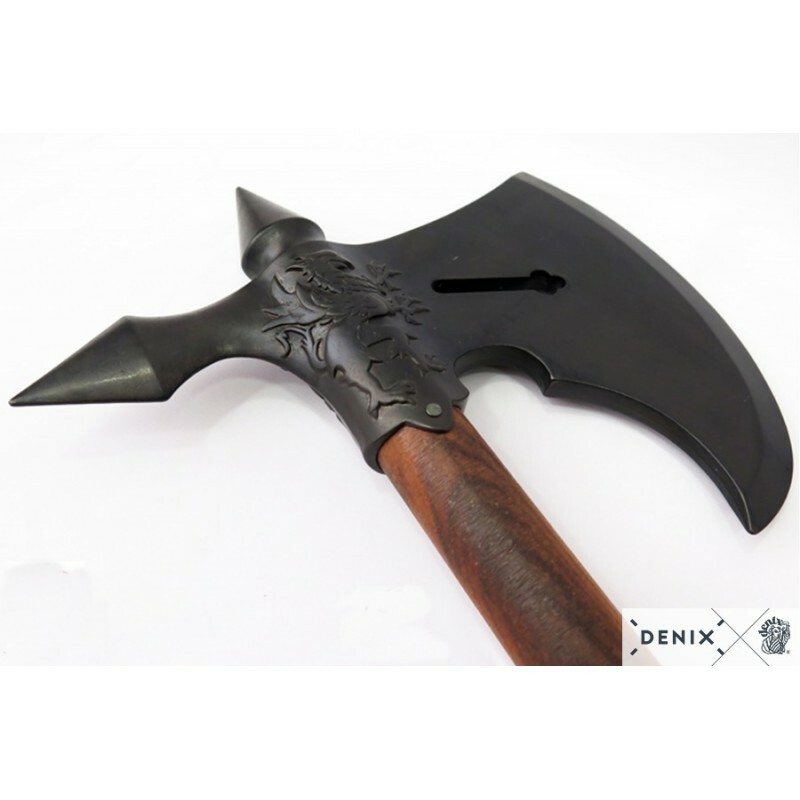 > Denix Historical Replicas>Denix Axes>Denix 7601 Battle axe, France 15th. 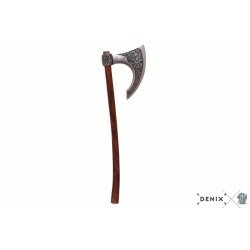 C.
French battle axe of the infantry; It is a military version of the traditional lumberjack axes, lighter and stylized that allows to brandish it with greater ease, and with a sharp blade to be more effective. 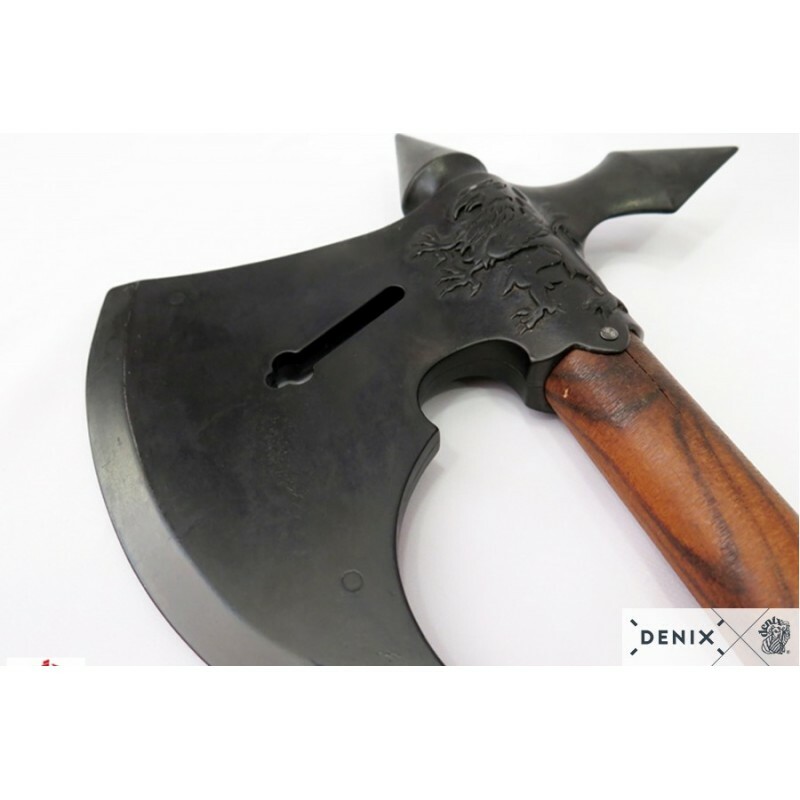 At this time, the appearance of plate armor, led to the specialization of axes, they begin to have a blade on the opposite side of the sheet and a vertical blade on the top. 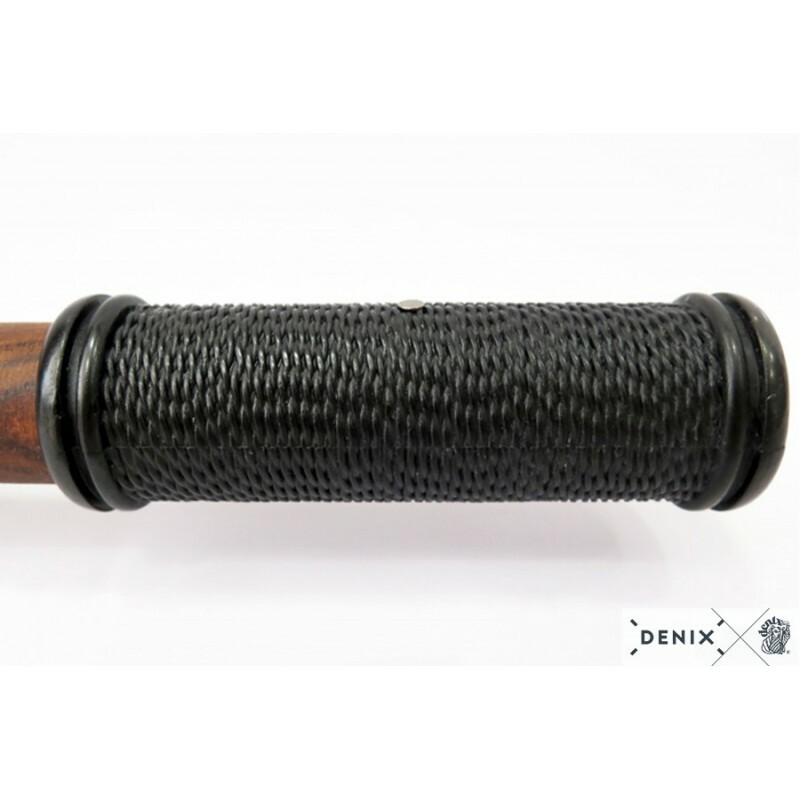 This is because the penetration was a determining factor for perforating the armor. Dimensions: 70 cm / 27,5591"